Kailyn Lamb, author of Ghosthunting Colorado, shares with us the story behind Buffalo Bill and his last resting place. Buffalo Bill and his famous Wild West show brought a dying breed of frontiersmen back into the limelight. 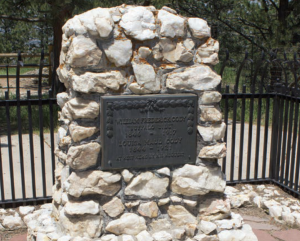 William Frederick “Buffalo Bill” Cody had already garnered a certain amount of fame before pulling this show together and, although it has been nearly 100 years since his death in 1917, controversy still surrounds his burial site on Lookout Mountain in Golden, Colorado. Many argue that he wanted to be buried in Cody, Wyoming, and so his restless spirit may wander this Colorado mountain near his grave. Buffalo Bill was born in Le Claire, Iowa, on February 26, 1846. He went by many names during his lifetime. His family called him Will; his friends, Billy. During his military career he went by Bill, and he was fondly known as the Colonel in the Wild West show. As a child in Iowa, he played with the American Indians from the area until his family moved to Kansas when he was 8. His father died of scarlet fever when he was 11, and Bill began taking on jobs to support his family, working as a messenger, cattle herder, and wagon train driver at one time or another. As a wagon driver, he crossed the Great Plains on multiple occasions. Some accounts say that Bill ran away at 13 to join the gold rush in Colorado and also became a fur trapper. By the age of 14, in 1860, he was riding for the Pony Express in Julesburg, Colorado. The Pony Express was a mail service formed during the gold rush, the same year Bill joined, that used horsemen to carry mail from Missouri to California. It was a dangerous job and several riders were killed by Indians. Two years after joining the Pony Express, Bill joined the Seventh Kansas Cavalry and fought for two years in the Civil War on the side of the Union. He returned to the West when he was 18 and spent some time scouting for the Army, where he earned the nickname Buffalo Bill. Upon his return, Bill learned that most of his family had died from illness, and he took care of his remaining sisters thereafter. By the age of 21 he was the chief buffalo hunter and scout for the Kansas Pacific Railroad, feeding more than 1,200 workers with his kills. As his reputation began to grow, so did the rumors of his adventures. Some accounts say that he killed about 11 buffalo per day, or around 4,000 in a year (Bill himself said the number was 4,280). Others noted that he participated in several Indian expeditions but was never harmed. Congress awarded him the Medal of Honor for acts of bravery after helping to defeat the Cheyenne at Summit Springs, Colorado, in 1869. The same year he was awarded the medal, Buffalo Bill became the subject of dime novels written by Ned Buntline, and legends about him often came from these stories. Taking advantage of his newfound fame, Bill created the Wild West show at the age of 27. At this time, he was married with a son and daughter, and his son died from scarlet fever in 1876. Shortly after his son’s death, Bill was called to fight the Cheyenne in Nebraska and killed the tribe’s chief, Yellow Hand, during the fight. This very real battle caused a boom in attendance at his Wild West show. Despite his numerous battles with the Indians, Bill was friends with many of them, and to them he was Pahaska, which means “long hair.” Some, such as his friend Sitting Bull, were part of the Wild West show, and when Sitting Bull left the show years later, Bill gave him one of the ponies that could perform tricks. Buffalo Bill’s Wild West show had staged battles with the Indians, stagecoaches, horses, and even a few buffalo. While some say that the large numbers of buffalo killed by Bill helped lead to their near extinction, he helped to revive their population through his show, protecting his herd and breeding them to bring their numbers back up. Annie Oakley later became part of the show, and Bill became known as an advocate for women’s rights—female performers like her received pay comparable to that of their male counterparts. As the show gained fame, it would even tour parts of Europe, and Queen Victoria of England was reportedly a big fan of it, with the Wild West performing during her Golden Jubilee in 1887. Once the show had become successful, Bill built a home for his family in Cedar Mountain, Wyoming, a city subsequently named Cody after him. The Wild West show continued running for 30 years, but, near the end of his life, Bill was nonetheless running out of money. While staying with his sister in Denver, Bill made a deal with the devil to keep the show running: He took a loan from his friend, Harry Tammen, who was the co-owner of The Denver Post. Unfortunately, taking the money came with a price, as Tammen now owned the rights to the show and to the name Buffalo Bill. Tammen’s version of the show, Sells Floto Circus, was a mere shadow of Bill’s popular one, which caused him to lose more money. Bill reportedly demanded that Tammen forgive the debt and give him back the show or else Bill would shoot him. There is no record of whether this is true, but allegedly Bill’s debt was forgiven. Many, however, claim the stress of this episode hastened his death. He died in his sister’s home on January 10, 1917. This is where the controversy comes in, and many people question whether he truly wanted to be buried in Colorado. Shortly after announcing Bill’s death, his sister also stated that he had requested to be buried on Lookout Mountain, a choice that was affirmed by his wife and by the priest who performed last rites for him. This sparked outrage in both Cody, Wyoming, and in North Platte, Nebraska. While North Platte had less of a claim, many people thought Bill would like to be buried there, as it was the site of his first Wild West show. Many residents of Cody, on the other hand, had more of a basis for their fury, and some of them said they had heard Bill himself say multiple times that he would like to be buried in their city. They also said that Bill had written a letter stating his wishes to his sister in 1902 and again, several years later, in his will. Goldie Griffen, a performer in the Wild West show and friend of Bill’s, later recorded audio in 1972, four years before she died, saying Bill wished to be buried on Lookout Mountain. Colorado’s fear that residents of Cody would steal Bill’s body were high enough that members of the National Guard were present during his open-casket viewing and subsequently at his grave. Later, when Bill’s wife died in 1921, she was buried next to him, and their bodies were covered with a layer of concrete, forever making Lookout Mountain their final resting place. The state’s fears may have been justified, as there was a $10,000 reward for the body of Buffalo Bill. Some argue that the reason for the change in location was the cost of shipping the body to Wyoming and, because his sister paid the funeral costs, some argue that she had a right to choose his burial site. 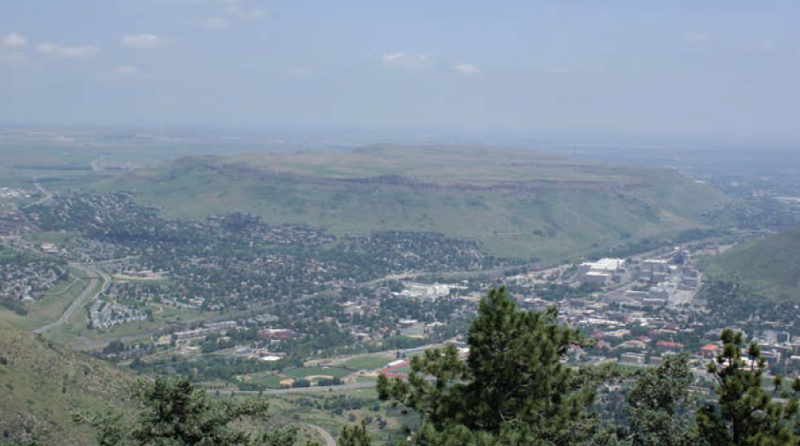 Others still argue that Tammen bribed Bill’s sister into choosing Lookout Mountain. Both Wyoming and Nebraska have since honored Bill in their own way. The citizens of Cody commissioned a bronze statue that was put on display in 1924, and in 1928 they opened the Cody Memorial Museum. North Platte held a two-day reenactment of the famous Battle of Summit Springs in June 1917, and later that year the town voted to create Cody Park on land that included the area where the first Wild West show had been held. 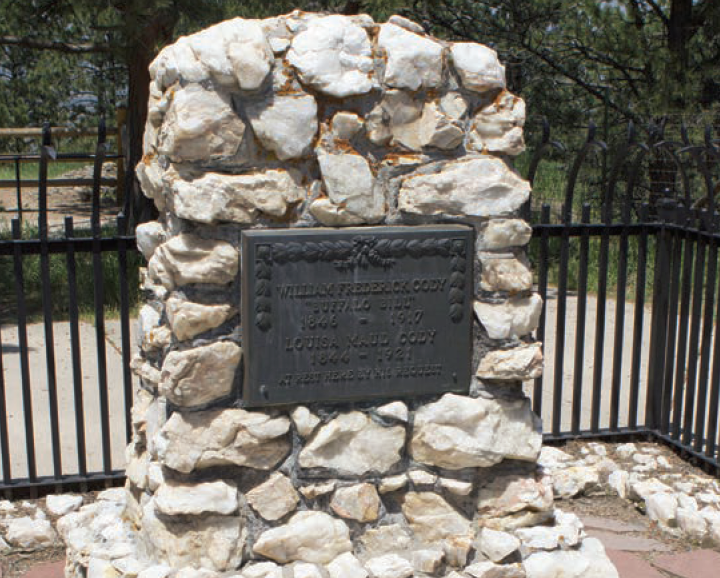 In 1921, Colorado built the Buffalo Bill Memorial Museum in Golden, near his gravesite. People have reported seeing Bill in the gift shop of the museum and seeing things flying off the shelves or moving. A less reported story relates to the death of a tourist visiting the museum. Allegedly, this woman fell and died, and her ghost can be seen on the mountainside. However, just as people in Cody claim that Bill should have been buried there, they likewise say their museum could be haunted by him as well, and some have reported feeling a presence in the building and museum artifacts coming off the walls. 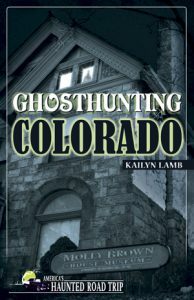 One has to wonder if both places can be haunted by the same man, or if these competing claims simply emanate from urban legends borne from the controversy over Buffalo Bill’s final resting place.